Young tennis players Macie Carlos and Bliss Bayking are set to fly to Singapore where they will represent the country in the WTA Future Stars Finals. The two claimed berths in the competition by beating their opponents in the Cebuana Lhuillier Girls’ Tennis Challenge last month. Carlos overpowered Mica Emana 6-1, 6-2 to capture the 14-and-under title, while Bayking beat Justine Maneja 6-4, 6-1 in the WTA qualifier. In Singapore, Carlos and Bayking will compete against 46 other players coming from different countries in the Asia-Pacific region. “I am confident that Macie Carlos and Bliss Bayking will perform well in the tournament. 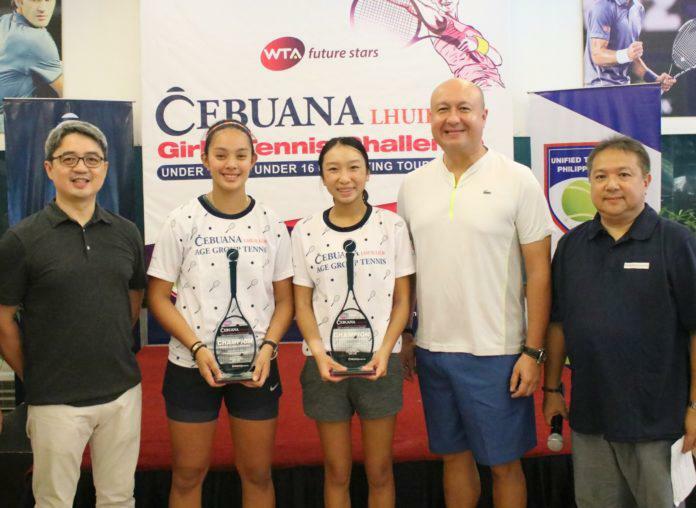 I have seen how they play at the Cebuana Lhuillier Girls’ Tennis Challenge and I am convinced that they have what it takes to go head-to-head with some of the world’s elite tennis players,” said Jean Henri Lhuillier, Unified Tennis Philippines (UTP) president. The WTA Future Stars features the best U14 and U16 players from 21 participating countries. The tournament will be held at Kallang Tennis Centre from October 16 to 21. It will be held simultaneously with the BNP Paribas WTA Finals Singapore, where the top eight elite women’s tennis players will compete for the season-ending title.